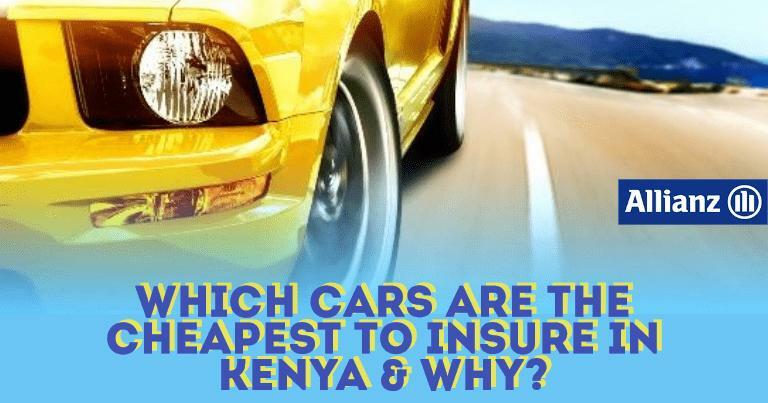 Which Cars Are The Cheapest To Insure In Kenya & Why? Once upon a time, owning a car was just like a crime without owning a land. There was the time when having a car was looked upon as a luxury In Kenya. Now, this luxury has turned more into a need. But what about buying a land? Well, a misconception, however, illuminated the connection of land and car. If you own a home, you can get lower insurance rates. But, if you stay in a rented accommodation, the insurance companies are going to impose higher car insurance rates. So, we operated a hunt for the most efficient cars that are cheaper to insure in Kenya. Toyota is the world’s largest automobile manufacturer to produce more than 10 million vehicles per year. The Japanese multinational automotive company is well-recognized for durable, reliable and affordable choice for Kenyans. It is worth mentioning that Kenya has the highest resale value of Toyota vehicles. Coming to the model, Toyota Belta is the best model to buy with the cheapest car insurance cost. This is the sedan version of the Toyota Vitz, featuring a big cabin and a spacious luggage compartment for all your load. For maximum fuel efficiency, it’s available in two engines: the in-line 3-cylinder and the in-line 4-cylinder engine. (1.0 litre (3 cylinder 996 cc), 1.3 liter (4 cylinder 1296 cc), 1.5 liter (4 cylinder 1497 cc). The FF (Front Wheel, Front Engine) layout with CVT(Continuously Variable Transmission) gives you more fuel economy while the Four Wheel Drive layout with Automatic Transmission gives you more acceleration and smoother turns. The Volkswagen (VW) is a German manufactured vehicle comes in second on our list as it is a costlier option when purchasing. If we talk about its breakdown rate and fuel consumption, the Volkswagen takes the day easy. You are likely to spot the VW Golf TDI on Kenyan roads It is a more reliable choice with the 1.6 L Diesel Engine that goes 20 KM on a single liter of fuel. Nissan March is a stylish supermini produced by Nissan ( an automobile manufacturer originating from Japan). The Nissan March looks quite small but its interior is very spacious and is perfectly a small family car. Additionally, with this car, you can easily fold down flat the rear seat to create more space for accommodating cargo in. For over three decades, the tight turning and maneuverability have led to a demand for the Nissan March. Factor in fuel efficiency, durability, longevity, and its ability to get through tight traffic jams shows this little car can be a sound investment. Ranking top 4 in our list of 6 cheapest cars in Kenya to insure is Mazda Demio. Mazda Demio is a supermini produced and marketed globally by Mazda since 1996, for people who love small cars. Currently, in its 4th generations, it is produced with names Mazda CX-5, Mazda Atenza (Mazda6) and Mazda Axela (Mazda3). The Mazda Demio is sold prominently in recent years as Mazda 2, and Mazda Metro and Mazda 121. Buying Mazda Demio is a sensible and cost-effective choice because the subcompact cars provide superb handling, tight turning radius, excellent fuel economy, dynamic performance, standard safety features, and low maintenance cost. The Honda Fit was introduced in the mid-2000s when better fuel economy became a must among car buyers. Since then, this subcompact four-door hatchback has earned a great deal of praise. One of the most stylish and efficient options in Kenya, it is popular for being spacious; economical and fuel-efficient choice. Next, Subaru is one of the top best cheap cars in Kenya that you shouldn’t miss. Subaru Impreza is a car designed for compact families. Subaru Impreza has been produced since 1992 by Subaru. At present, in its 5th generation, Subaru Subaru has offered 4-door sedan and 5-door body variants since 1992. Most of the versions have designed with “boxer” flat-4 engines ranging from 1.5L to 2.5L, with the performance-oriented Impreza WRX STI and WRX models uprated with the implementation of turbochargers. 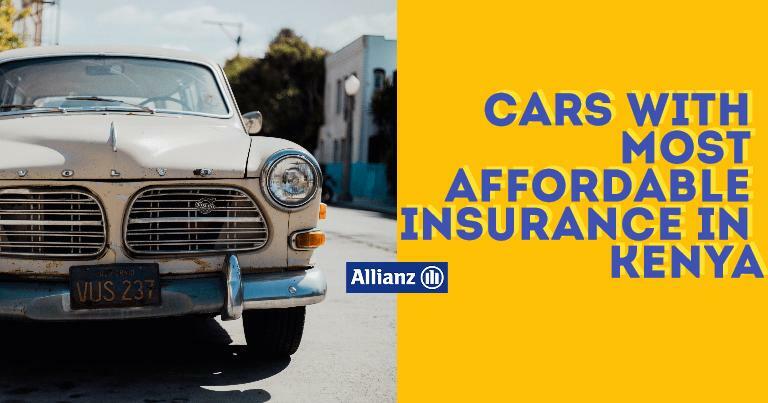 Why You Need To Insure Your Second Hand/Used Car in Kenya?